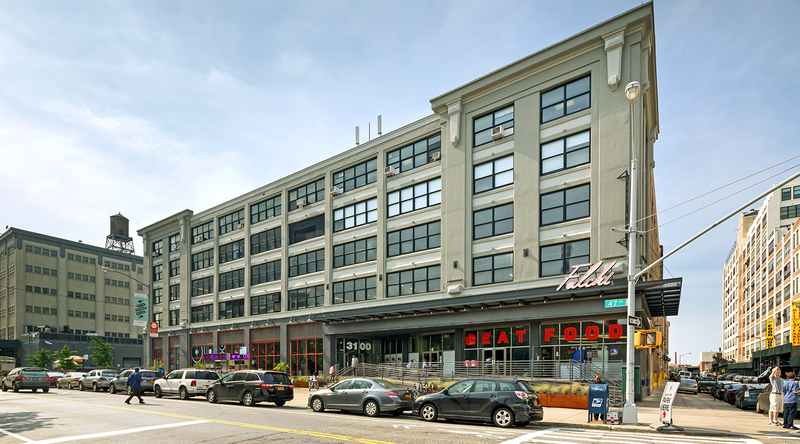 This Fall, Spaces New York, the biggest co-working space to hit queens yet, is set to open in the Falchi building in Long Island City and comes in at 17,500 square feet. 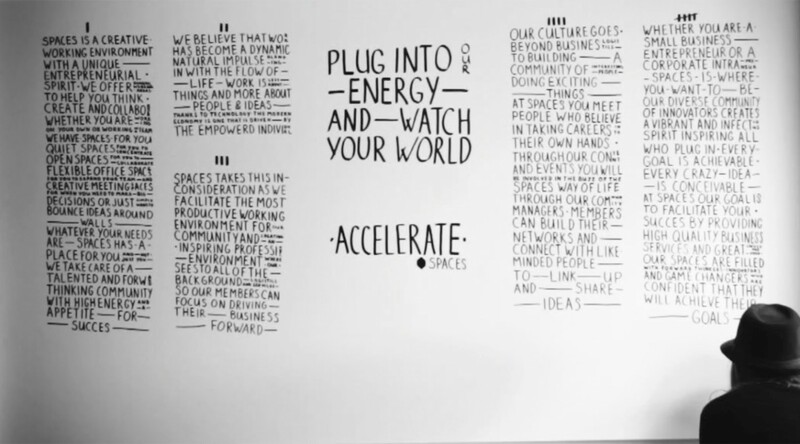 Originating in Amsterdam in 2008, Spaces New York is their first co-working space in the United States, but it’s not their first international move. They also have Spaces in London and Melbourne. I had the opportunity to sit down with two key Spaces New York team members. Kristy, the Community Manager is new to Spaces, and clearly beyond excited to join the movement, who noted she’s found her dream job in the role. Nina has been working for Spaces for 5 years, and is also obviously passionate about the community and their members. Hailing from their original location of Amsterdam, she’s tasked with launching the new space and ensuring the global family feel is maintained. 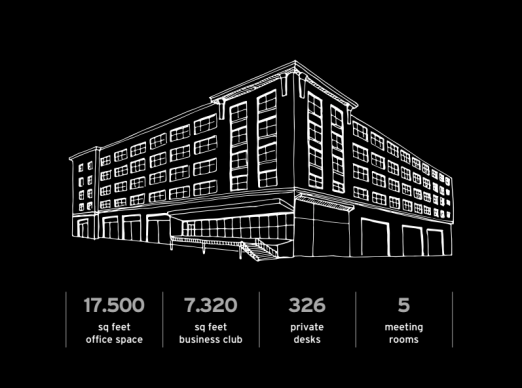 Spaces New York will offer a range of high-end work space options. 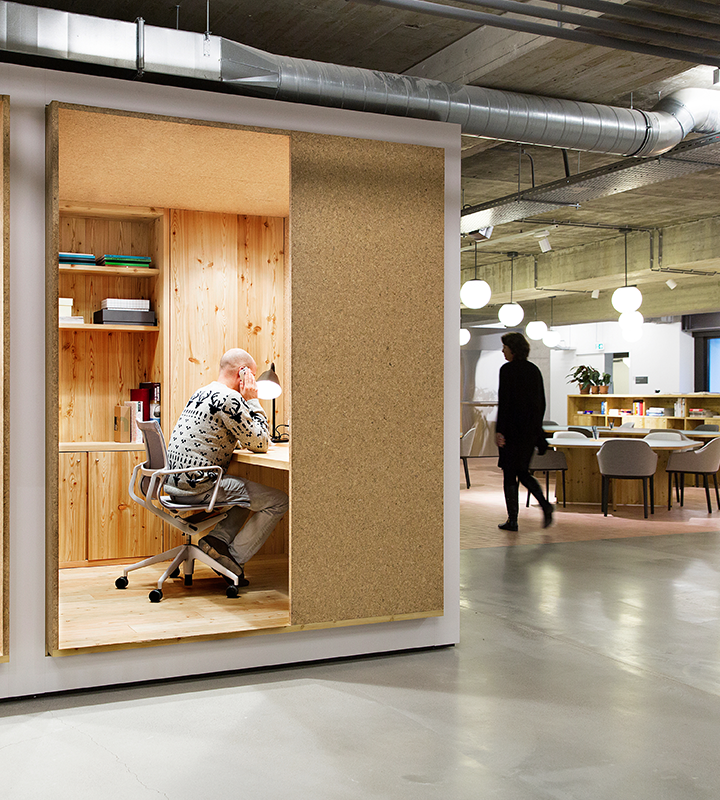 A private office with dedicated desks starts at $540 (you can also do a dedicated desk in a shared office) and a membership (access to their space, but no dedicated desk) starts at $225 a month. There’s flexibility in terms of the commitment — starting at 3 months for dedicated space, and month to month for membership. 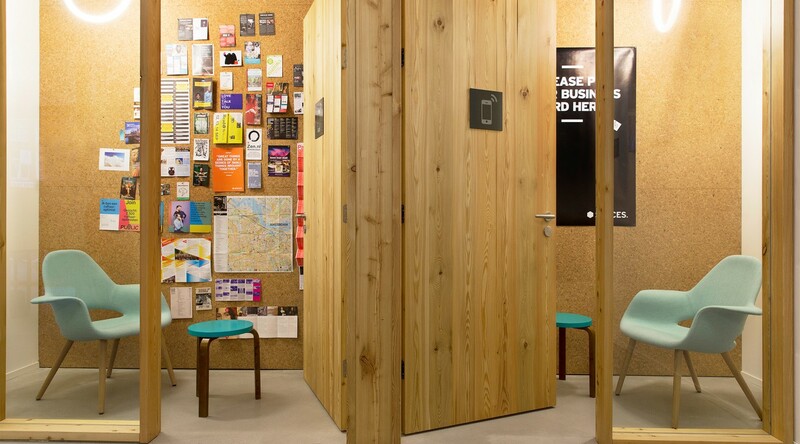 When asked about the type of businesses that’d be working from Spaces New York, they noted it’s mostly for established businesses who have funding, but as mentioned, there are cheaper, flexible options for more free-roaming entrepreneurs and freelancers as well. 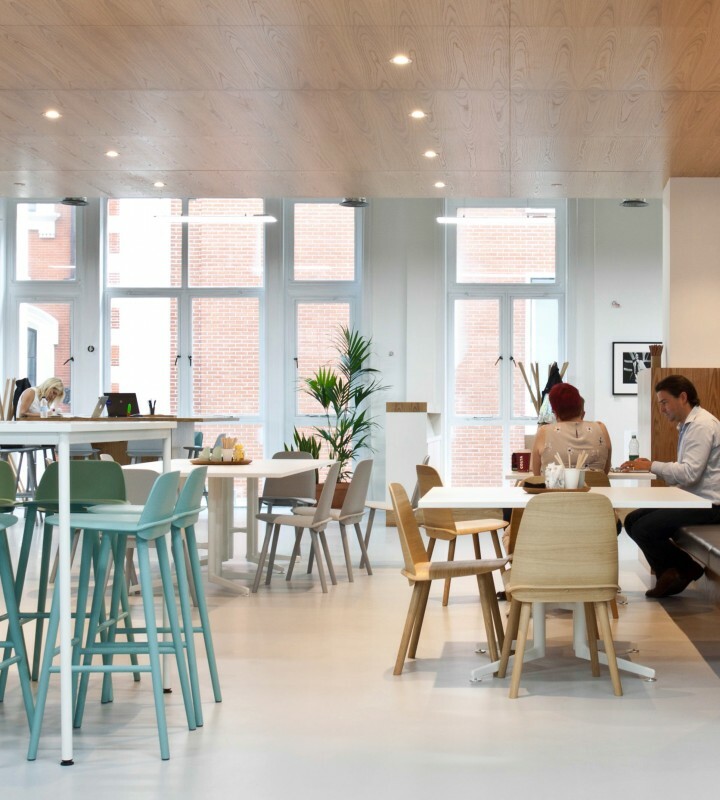 When talking about what makes them different from other co-working spaces, part of their answer was that they describe themselves as a concierge-style services. Anything their tenants need — from coffee and dry cleaning to an in-house bar and massage service, they provide. If they don’t have something you need, it sounds like well, they will get it for you. This all comes with a premium price (this will not be the cheapest coworking space around), but for that, it sounds like you get premium services. They clearly pride themselves on design and ambiance, as you can see from photos of other Spaces. “Each location is designed uniquely according to its location and building feel. The Falchi is an urban loft aesthetic, so it will have glossed concrete floors, large columns, an exposed ceiling, and custom wood work,” noted Nina. Vibe and ambiance is important to them, and it shows through in their attention to detail and design. Their space will be enormous, and large enough to accommodate teams as they grow. One of their first tenements in Amsterdam was the founder of Uber. Other companies using other Spaces include HBO, Facebook, Top Shop, and Ralph Lauren. Many of their community members hail from the tech, media, and fashion space, so when asked about events that they will host they mentioned they will often revolve around those topics. Events will range from member happy hours to events that will be open to the public. Building community in the neighborhoods they are in is an important part of their strategy. Falchi is also home to Doughnut Plant, Juice Press, L’Arte del Gelato, and The Food Box, a pop up shop. A distillery by Queens Courage, Astoria Distilling Co., will open this Fall. The soft launch will be in October, but their team has already been setting their roots down in Queens to ensure a solid launch. They’re also hiring!